If you are searching for a cool event this Labor Day weekend, look no further than the Grand Prix of Baltimore. This weekend may signal the unofficial end of summer, but there’s still a lot to be excited about. Here in Baltimore, this race is the talk of the town and rightfully so. It is, after all, “a celebration of acceleration” and what’s not to like about that? What’s so unique about the Grand Prix of Baltimore? The Grand Prix of Baltimore features Indy Cars and sports cars ripping through Baltimore’s Inner Harbor at speeds up to 180mph during a 12-turn, 2-mile street course. The start-finish line for the street circuit is located on Pratt Street. Sports cars will fly by Baltimore landmarks like the Baltimore Convention Center and Camden Yards at incredible speeds. During this exhilarating event, attendees can enjoy the high speeds and beautiful sights of Baltimore’s Inner Harbor and Federal Hill. Taste buds will go into overdrive with the mouthwatering Taste of Baltimore cuisine and the best cold brews at the Budweiser Party Zone and Southern Spirit and Wine Bars. There will be live entertainment from the band Live, who has sold over 22 million albums, as well as local and regional performers. If you are traveling with the kids, you can rest assured there are tons of activities for the whole family to enjoy. Let your family have plenty of fun at the Esskay Family Fun Zone. This kid-friendly area will be highlighted by Radio Disney performances. There will be a SNUG obstacle designed by the Port Discovery Children’s Museum, families can ride go-karts, and enjoy derby races all for free with the race admission. 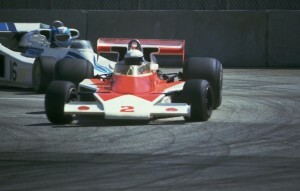 The IZOD IndyCar Series: This is the premier American open wheel racing that has car racing on Baltimore permanent roads and temporary street courses. The Firestone Indy Lights Series. This is a development series for drivers that want to compete in the IZOD Indy Car Series. The American Le Mans Series is the world’s premier sports car racing series brought to you by Tequila Patron. The race spotlights luxurious manufactures in sports cars racing such as Vipers, Porsches, and Ferraris. The IMSA GT3 Cup Challenge. This is a single make series in North America and it makes its debut at the Grand Prix of Baltimore this year. In fact, this is the GT3 Cup Challenge first appearance for a street course event. Yokohama is behind this street course. The street course features semi-professional Porsche 911 GT3 Cup car drivers. Observation Baltimore is excited for the Grand Prix of Baltimore because it will showcase the great culture of the city and surrounding Maryland area. Whether it’s the cuisine, architecture, or “hon” accent, we’re proud to be welcoming tens of thousands of visitors into our city for the Labor Day weekend. This entry was posted on Thursday, August 29th, 2013 at 6:31 pm. Both comments and pings are currently closed.